Tackle the plastic pollution that blights your beachfront. Fresh air, community spirit, a sense of accomplishment and a tangible difference to your local beach. Protecting the environment has never been so rewarding. Your Regional Reps and neighbours have been busy. See if there's a Beach Clean happening soon near you and head down and say hello! We host two huge volunteer led Beach Clean events every year - the Big Spring Beach Clean and the Awesome Autumn Beach Clean. Thanks to 35,500 people like you the 2018 Big Spring Beach Clean saw us remove over 63 TONNES of marine plastic pollution and litter from 575 beaches across the UK. Sign up for our email newsletter for a reminder before our beach clean events, and make sure you're following us on Facebook and Twitter. If there's no beach clean happening near you then borrow your local Beach Clean Box and step up to organise your own. Our step by step guide makes it as easy as ABC! No beach clean near you and you don't have the time to organise your own? The stats for 2018 speak for themselves, we now need you to help us go even further in 2019! Our Beach Clean Boxes are specially designed beach conservation kits. They include beach clean tools such as; buckets, bin bags, gloves, litter picker and shovel as well as vital scientific monitoring and education materials.  Many of our beautiful beaches often resemble ‘plastic pollution disaster zones’ – but our highly trained Regional Reps are the first line of defence. 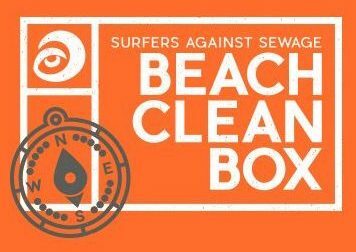 Each Rep has a Beach Clean Box, which means there’s more than 125 boxes spread throughout the country. The Beach Clean Boxes are community kits, so we’d love everyone to use them. If you want to borrow one to do your own beach clean, or to deliver a talk to your local school/club – then locate your nearest one and get in touch with the Rep who looks after it. If you’d like a local Rep to bring a Beach Clean Box down to your local/favourite beach and run a beach clean – then contact our team and we’ll set the wheels in motion. I think my initial perceptions of a beach clean were old ladies in high-vis vests, or Boy Scouts being forced against their will. One day I decided I wasn't doing enough for my environment - yes it is yours! What a pleasant surprise we had! It was a fantastic experience cleaning Westward Ho! Thanks SAS! It's only “not for you” if you DON’T enjoy meeting lots of like-minded people of all ages and backgrounds. Everyone we cleaned with was super friendly, and we've all made plans to return more regularly to help clean together!”. It opens your eyes to what ends up in the sea and helps you understand why it's so important to 'spread the word' to anyone who will listen about how we can change our use of plastic crap. It’s so worthwhile, you really feel like you're doing good. It’s not someone else’s responsibility it's all of ours. Get out there, have fun, imagine the difference we could make if we all did our bit! Cleaning your local beach is a brilliant start, but together there is so much more we can do to fight the scourge of plastic pollution. What happens on a Beach Clean? It’s refreshingly simple and surprisingly fun! The Problem with Plastic Pollution – Your Lead Volunteer will speak to everyone for a little while about the threat that plastic pollution poses to our oceans and beaches, what to look out for during the beach clean and – most importantly – what we can do to tackle it! Weird & Wonderful – Keep an eye out for weird, wonderful and old ‘Retro Rubbish’ items. It’s always super interesting to discuss how and why they may have got there and there’s usually a prize for the weirdest item found! High Fives & Home – The Lead Volunteer will let you know how much plastic pollution you have removed together and get some great photos of everyone. Hopefully you will have had fun and maybe even made some new friends. Remember to enjoy your time on the beach that weekend and beyond, you’ve earned it! Just make sure you are dressed for the British seaside weather! We have a good amount of gloves, bin bags, buckets and hand wash; but if you’re able to bring your own gloves that means more people can get involved. Are beach cleans suitable for children? They’re designed to be a fun day out for all the family. Make sure the kids are suitably dressed, and if you can bring child-sized gloves for them that will really help. We appreciate that not all young children can sustain two hours of cleaning activity, and you’re welcome to stay for only as long as their boredom threshold allows. You might be surprised how much fun they have though! Which beach do you want me to clean? What happens to all the rubbish that's collected? The Regional rep or Beach Clean Organiser will dispose of it safely. We’ll make sure that as much of the plastic as possible will be recycled. In most cases, the local council will have been notified and they will have made arrangements to collect the rubbish you collect. What happens after the Beach Clean? You’re part of the SAS beach clean family now! We hope you’ll stay in touch with us for many years to come and play a big part in helping us to create plastic free coastlines. We’ll let you know what’s happening and how you can stay involved.